Fido has now released the new hip Xperia Pro from Sony Ericsson, brother to the Xperia Neo. The Xperia Pro has keyboard that is QWERTY , and runs on Android 2.3 Gingerbread. The screen sports a 3.7 inch FWVGA Reality Display with Mobile BRAVIA Engine, HSDPA, Wi-Fi, GPS, 3.5mm headset jack, HDMI, 8MP rear camera with Exmor R sensor, VGA front-facing camera, 512MB of RAM, and 1GHz single-core processor. Cellunlocker.net is proud to announce we are able to unlock the Sony Ericsson Xperia Pro from Fido fast and easy! UNLOCK MY XPERIA PRO NOW! 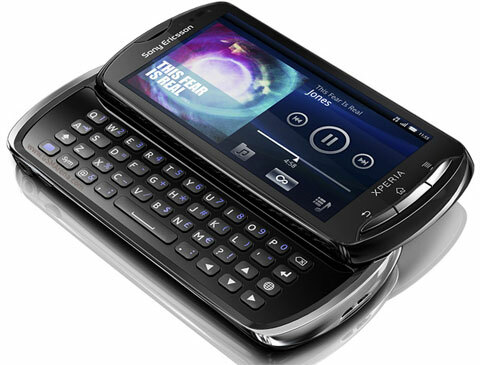 After you unlock Sony Ericsson Xperia Pro, it is permanently unlocked even after upgrading the firmware. Once you unlock your Xperia device, you can change to any GSM Carrier. * The resell value of the Sony Ericsson device will increase significantly as it is available to more carriers such as At&t, T-Mobile, Rogers, etc.. Please place your order online, once it is finished processing we will email you the unlock code.